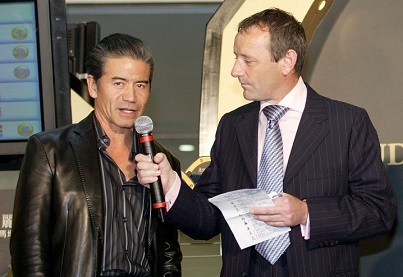 When John Hardie wrote that “Tony Cruz Is Not The Greatest Thing Since Fried Rice”, and how the then-young Champion jockey of Hong Kong had an apparent penchant for “fast cars, fast women and the fast life”, it caused more ripples than the city’s Fragrant Harbour had seen since rocked and rolled by the worst typhoon. Hardie was a peculiar man- a surly Australian racing journalist who was angry with the world, and very obviously, a racist, who worked for the STAR newspaper in Hong Kong. He almost seemed the hired PR man for fellow Aussies George Moore, and his jockey son Gary Moore, Tony Cruz’s main rival in the jockey ranks, but a good friend off the track, both being kids who were tasting the high life and champagne supernova of success at a very young age. It was expected of Gary, who was born with the George Moore silver spoon in his mouth, but not the unknown apprentice known as Tony Cruz. He had to make it with his own god-given talents and through a swift learning curve. 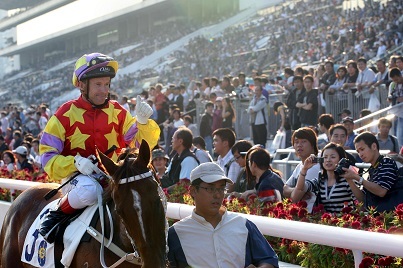 Gary Moore could do no wrong in John Hardie’s eyes, and he had dared to take a cheap pot shot at Hong Kong racing’s favourite son. It all crumbled for Hardie after that with him and the newspaper having to write an apology followed by the well-publicised “Shanghai Syndicate” scandal involving the “Mr Fix It” of Hong Kong racing- YL Lam- and the ICAC investigation that resulted in the fall from grace of Gary Moore. 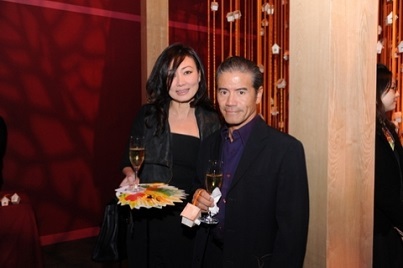 That was then, and today, when “Goh Tony” parks his Ferrari and walks into a hotel, club or restaurant wearing shades, designer jeans and jacket and that well-coiffured hair in perfect order, heads turn, the Red Seas part, and waiters, waitresses and management fawn at his feet. 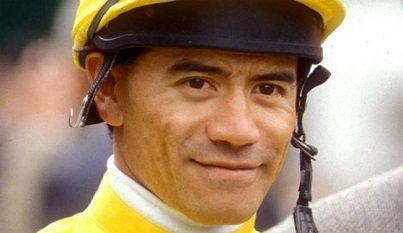 The fluent Cantonese-speaking Tony Cruz is a star- a Rock star and the biggest and most popular marquee value name with local racegoers, who was born into racing and has traveled- and is still traveling- down that long road which has led him from being a Champion Apprentice to graduating to be a Champion Jockey of International status, and, today, a Champion Trainer. If he were eligible for the title of Most Popular Jockey today, he’d win it even though he retired from riding at the age of 39 on a winning note. 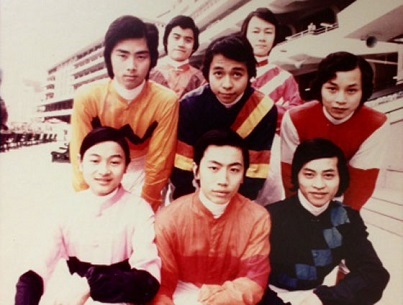 This was when he bounced the Stephen Leong-trained Super Team- a horse he was to later train and who won HIS last race at the age of TWELVE and at odds of 30 to 1- straight to the front and kept it going while the others ran on from the back of the field for the quinella. 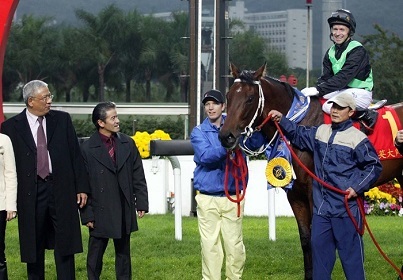 It was an appropriately choreographed fairy tale ending to a career of a Hong Kong kid made good- very good. Talking about his retirement from the saddle at what was a relatively young age, he’s open about the reasons: “I had so many injuries from riding, especially to my neck, doctors warned that one more fall could mean me being paralysed. 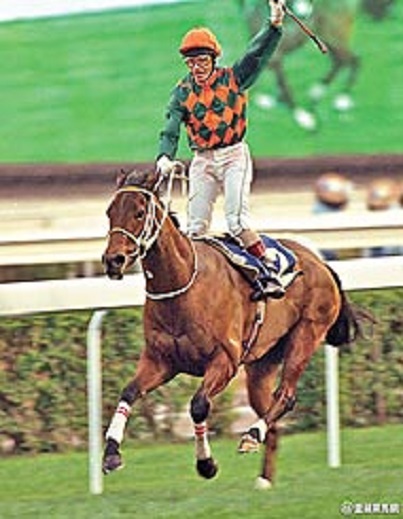 Looking back at who he’s ridden against- and it truly is a Who’s Who of racing- “Cruzy” singles out Pat Eddery, below, as being the best- not an easy thing to do when one remembers the top English riders who rode in Hong Kong on a regular basis at a time when the city was still a British colony. “This was a time when we had people like Joe Mercer, Kieron Fallon, Lester Piggott and all the greats riding here- even Frankie Dettori’s father rode in Hong Kong. As a trainer, he’s also used the services of Frankie Dettori, Gary Stevens with Douglas Whyte once being his stable jockey, but the most enduring and popular partnership was with Felix Coetzee. “I first met Tony when he and I were riding at Goodwood,” remembers Coetzee, the great South African jockey, who competed against Cruz on racetracks in the UK and Hong Kong, before, in one of life’s ironic twists of fate, becoming his stable jockey. 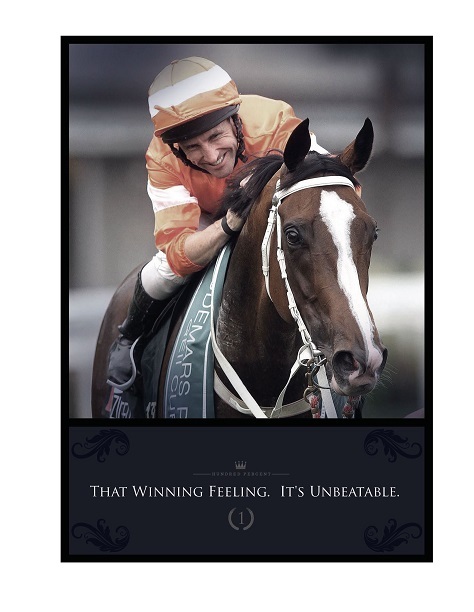 “Tony and I were riding against guys like Steve Cauthen, Pat Eddery, Walter Swinburn, Greville Starkey, Willie Carson etc, and what immediately struck me about Tony was his focus. There was an aura about him. “As a jockey, he had it all- balance, timing, beautiful hands. He was the best. Coetzee also mentions how this successful partnership of jockey and trainer came into being- a partnership that took on the world and won when they became The C Team behind the career of champion racehorse Silent Witness. 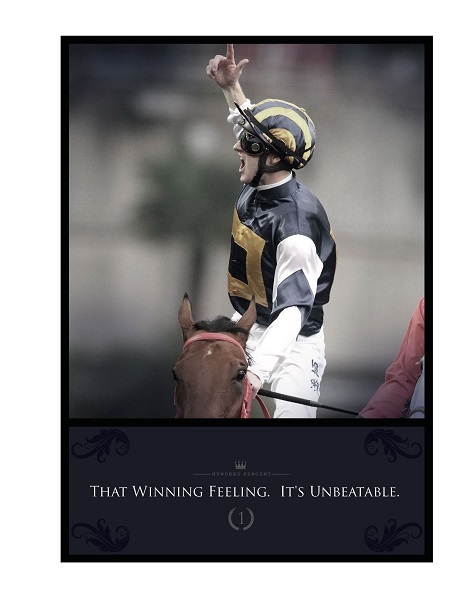 The partnership with Coetzee began in 1999 and shows another side to this interesting man to whom success came early- someone who cheated death to make a successful return to racing before making an equally successful transition to becoming a champion trainer. Says Coetzee, “I was in hospital with a broken shoulder after a fall and wondering what my next career move might be and if I would be able to stay in Hong Kong. It was a tough time as I also had my family to think about. “Tony came to visit me, said he knew I had no contract for the new season, and asked if I’d be his stable jockey. 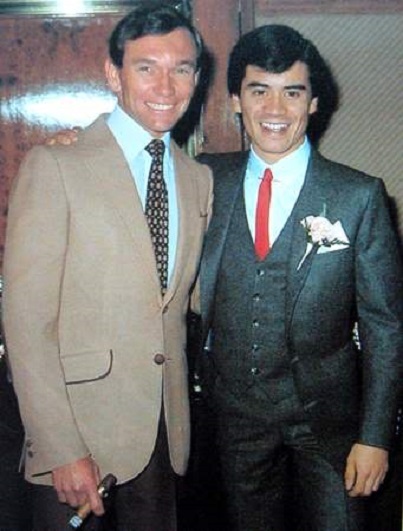 The son of amateur jockey Johnny Cruz and whose uncle- Max DeRosa- also rode in those days, Tony was everything his popular dad and lesser-known uncle could never be as jockeys. 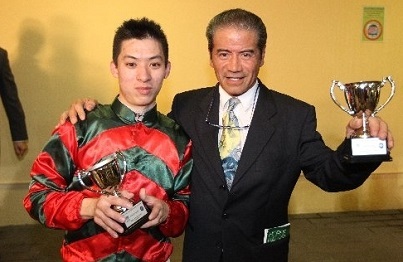 Like most Macanese at that time, Johnny Cruz had worked in a bank before deciding to become a jockey- a jockey described as “pugnacious”, and who only knew how to take a horse to the front and hope for the best. Tony Cruz succeeded where his Dad couldn’t, and no one could have been more proud of that than Johnny. 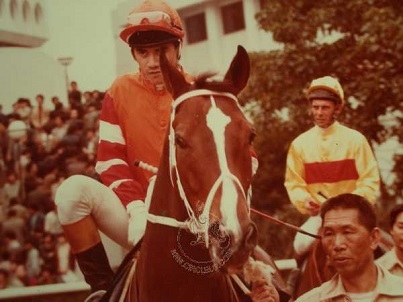 No matter what John Hardie wrote in a moment of rashness, brashness, anger and misguided jealousy, only Bruce Lee could have competed with Tony Cruz in being “the greatest thing since fried rice” at a time when professional racing in Hong Kong was just finding its feet, and racing in Shatin had only recently begun. 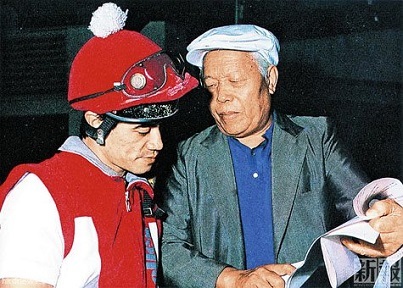 Starting his career in 1973 as a gifted young apprentice, Tony Cruz rode his first winner- the George Sofronoff-trained Cirrus- at Happy Valley Racecourse the next year on December 11- just in time for his 17th birthday on Christmas Eve. 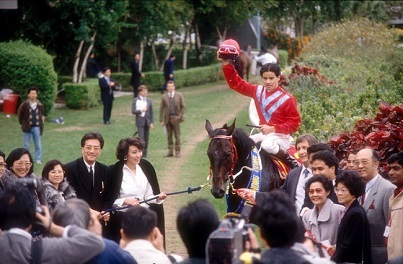 After that- and to use a well-worn out cliche- there was no looking back as the young Portuguese rider took Hong Kong racing by the scruff of its neck and, to use one of his famous lines, “put the pedal to the metal”. Cruz Control was on auto pilot. With the mighty Co-Tack, that partnership created history with the the Wong Tang-ping-trained galloper even carrying a back-breaking 154 pounds to victory. 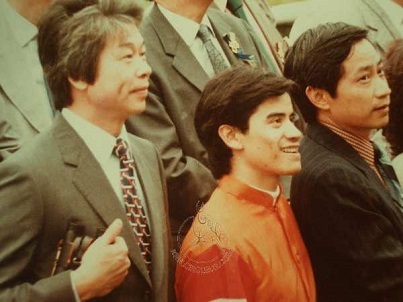 In the late-Eighties, a 21-year-old Tony Cruz took up an offer to ride in France for trainer Patrick Biancone- not as some young Asian kid riding in the boonies to gain experience, but as one of the best jockeys in the world riding against the very best riders at that time. 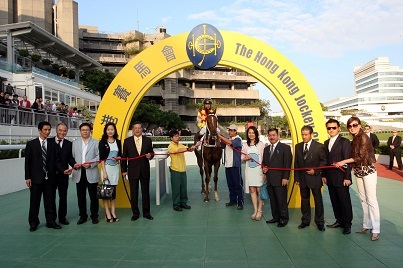 “Patrick Biancone was training horses for some of the world’s biggest owners including Daniel Wildenstein,” he says, adding that another of his owners was Hong Kong’s Alan Li, who was to become Chairman of the HKJC, and the chief architect in the “Internationalism” of Hong Kong racing. 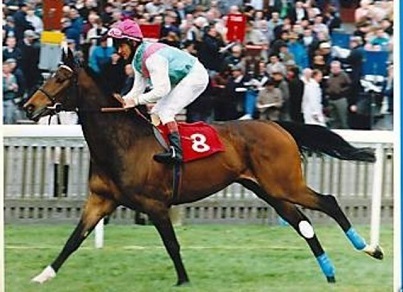 In those four years in Europe, he rode for kings and queens- literally- and the great Aga Khan, he won, amongst others, the Coronation Cup, the Irish Champion Stakes, the Prix Ganay, the Grand Prix de Chantilly, the Grand Prix de Paris, the Prix Niel, and the Prix Vermeille. It was while taking all before him in Europe that he had a fall when leading in a twenty horse field- a horrific fall where he saw himself heading towards that “white light”, but turned back when hearing wife Pauline’s voice while doctors pieced him together. His entire face had been shattered, and to hear Tony talk about his operation during dinner, and what he saw happening around him in the operating theatre, has made many of us take a breather and pass on the main course. But that’s Tony Cruz for you- brutally candid, honest, religious with strong Christian values, and someone with a great support system in Pauline Cruz, a one-time beauty queen in Singapore, and today, very much the power behind the throne with her excellent people skills. “He’s a perfectionist, man, he’s not tough,” explains Coetzee. “He knows what he wants and he sticks to it. I have enormous respect for Tony and owe him so much. “I remember him telling me when I was in my Thirties how I’d still be riding when I would be fifty. And who gave me a Group 1 winner when I turned fifty? Tony. When mentioning stories like this, “Cruzy” seems shy, and shrugs them off. 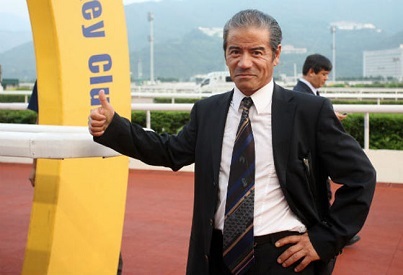 He’d rather talk about what’s ahead than what’s come and gone, and here we see how incredibly proud he is of Hong Kong racing- and which he helped build. One of Hong Kong’s favourite sons has spoken. The only other favourite son was Bruce Lee. And that pride in Hong Kong- and that unshakeable pride in being from Hong Kong- is something they both have carried and will carry with them. It’s inspiring stuff in a city that, these days, is in short supply of inspiration and heroes. 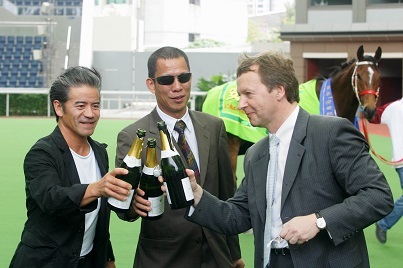 This entry was posted in Hong Kong Jockey Club, Hong Kong Racing, The horse racing industry, Tony Cruz and tagged Co-Tack, Coetzee, Douglas Whyte, Frankie Dettori, Gary Moore, GARY STEVENS, George Moore, Joe Mercer, John Hardie, KIERON FALLON, lester piggott, Super Team, Tony Cruz, Wong Tang-ping. Bookmark the permalink.